Omaha city in Nebraska is situated on the lower border of the River Missouri. The city is very popular for its pioneer history, museums, cultural centers, rainforest and desert habitats and many more things. These tourist attractions make the city a holiday destination for friends and family. Durham Museum- It was a train station in 1931 but now is built into a historic museum with exhibits. Joslyn Art Museum- The museum has many rotating exhibits and a diverse collection of art to keep the tourists entertained. Heartland of America Park- It is a beautiful lake side park with boating and fountain displays for the visitors in the evenings. Gene Leahy Mall- There are lagoons and gardens in this pedestrian mall. 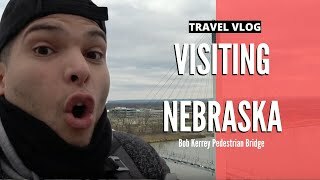 Bob Kerrey Pedestrian Bridge- This contemporary bridge connects Nebraska and Lowa. Lake Manawa- Tourists can enjoy boat rides, camping and hiking in this huge park and lake. Fontanelle Forest Nature Center- It is a museum and raptor center featuring a varied variety of reptiles. Fun-Plex Waterpark and Rides- It is an amusement park with water rides, games and slides for kids. Best Western Old Mill Inn- A budget hotel offering amenities like microwave for a comfortable stay. Aksarben Suites Omaha- They have an atrium and a pub along with an outdoor pool and gym facility for the guests. Best Western Plus Kelly Inn- A 3-star hotel with a gym and restaurant for their guests. Americlnn by Wyndham, Omaha- They have an indoor pool and a fitness center that compliments the modern lodging.